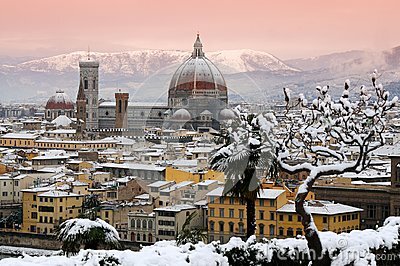 Beautiful cityscape with snow of Florence during winter season. Cathedral of Santa Maria del Fiore. Beautiful cityscape with snow of Florence during winter season. Cathedral of Santa Maria del Fiore. Italy.